The Core will arrange a [Manila]-[Los Banos] shuttle on the morning of April 5, and a [Los Banos]-[Manila] shuttle on the afternoon of April 6. The shuttle will leave the National Computer Center parking lot at 9 am on April 5, arriving at Los Banos at around 11:30 am. The shuttle will leave Los Banos at 3 pm the next day, arriving in Manila around 5:30 pm. Enter the main UPLB gate, then turn right. Just follow the road as it goes left then straight again. You're already on Kanluran Road. You'll eventually drive past a school with a chapel (Christian School International) on your left side. Then there'll be a gate of a subdivision on the right (Sacay Village) up ahead. Turn left by the time you make it beside the gate. As you follow that road, you'll see the UPLB Library on you left, and then a bridge up ahead. Cross that bridge and then turn right to the uphill road (Forestry). 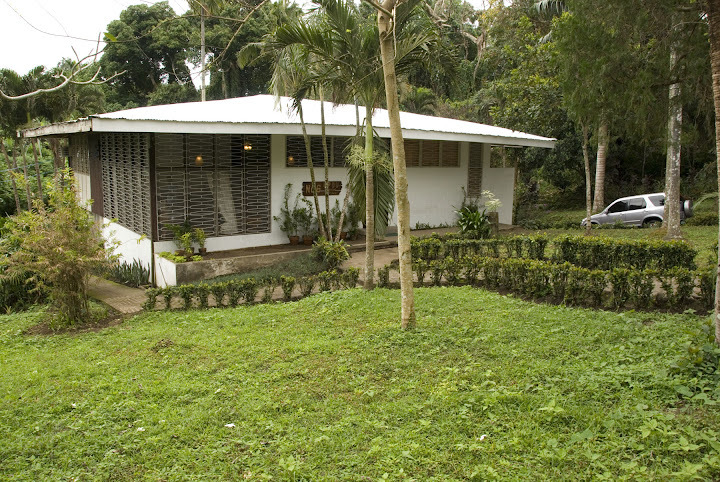 Once you drive past the UPLB Infirmary, the UPOU Guest House will be close by. We can all stay at the house overnight. You can see photos of the house on Picasa. If you have a wireless internet dongle (SmartBro, Sun Wireless, Globe, etc.) that you can bring, please bring it.